Ryan Esson won the Scottish Cup with Inverness in 2015. Caley Thistle coach Ryan Esson insists he has found a home at Inverness after it was announced he will receive a testimonial to mark his service to the club. Goalkeeper Esson has been with Caley Jags since 2008, having been signed by Craig Brewster following short spells in England with Shrewsbury Town and Hereford United having left hometown club Aberdeen in 2006. The 38-year-old made 187 appearances and although he is still registered as a player, Esson’s prime focus is now on his coaching duties with the goalkeepers and under-18s squad. The testimonial has come around through a suggestion to the club from Kath and Bob Fraser, who sponsor Esson, and although no details of the event have been confirmed, the former Scotland under-21 goalkeeper reflects fondly on his time with Caley Jags. Esson said: “It doesn’t feel like a long time, if I’m honest. It has flown past. “I actually didn’t know what to expect. I was on trial at Queen of the South but got a phone call from Craig Brewster. I knew Russell Duncan and a couple of other boys up here. “I said I’d travel up and take a look. Stuart Garden, the goalkeeping coach back then, had phoned Drew Jarvie at Aberdeen to ask about me. “There and then they’d offered me a two-year contract and it got me back into football. “I never had a long-term plan. I was number two and thought ‘I’ll see where it takes me’. “I was at Aberdeen from the age of nine and assigned full-time at 16. I left nine years after that. I wasn’t a young man when I left, but I’d always been there and that was my whole outlook. 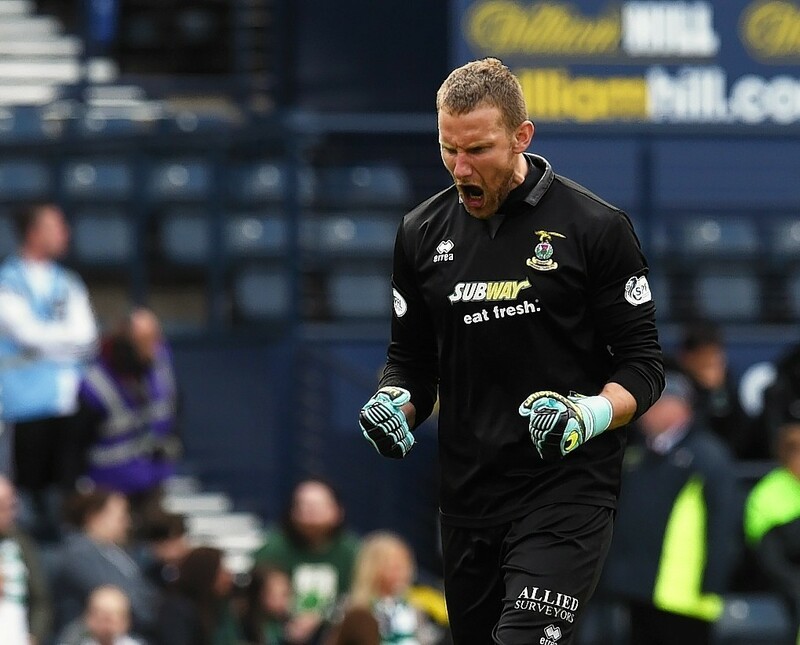 Esson played in Caley Thistle’s Scottish Cup final triumph over Falkirk in 2015 in one of three honours he has won with the club, having also helped the club secure the First Division title in 2010 as well as the IRN-BRU Cup in March this year. He added: “There’s been a lot achieved through my time here, but there are three games that stick in the mind. The Scottish Cup semi-final against Celtic, the final against Falkirk and one particularly from the year we won the First Division. “It was Raith Rovers at home and we won 4-3. Richie Foran scored an overhead kick in the 92nd minute. I don’t know how he got his dodgy hip up there, but he did. Esson is excited by what the future holds at Caledonian Stadium, adding: “I’ve been involved in the coaching side for five years and I’m looking to progress that.